This is a collection of Chinese Buddhist Songs. All files are in MP3 format - please right click on the links and choose "Save Target As.." to save them. If you have quality audio material to contribute to this section, please contact us and we will include them here. 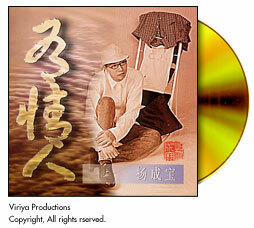 Here is another album by Daniel Yeo, it is a collection of Buddhist songs by the Singapore composer. INSTRUCTIONS: All these songs are in MP3 Format, to save them to your computer right click link with your mouse and choose "Save Target As.."